The first thing you need to know about Alive is that it's built on twin foundations of love- love for God and an unapologetic love of rock & roll. Growing up as the son of missionaries in a house that his grandparents built in the African Congo bush country, Todd never questioned the truth of his biblical upbringing. Music? That was another matter entirely. "Everything we listened to had to be Christian," he remembers. "But it could not be rock-not even Christian rock. As much as I love my parents and honor how they raised me, I really struggled with that one rule!" From the moment he had his first taste of the forbidden music-an LP of Christian rock pioneers Petra, smuggled from boarding school by his older sister Shawn and played furtively through headphones-Todd felt its power. And when he left home for that same boarding school in Kinshasa, he chased down and memorized every rock album he could find, secular as well as spiritual. "I really took to groups like Boston, Kansas, Foreigner, Journey, Toto, and Genesis," he remembers. "But I heard everything from Madonna to Prince to the Doors to the Beatles. Bryan Adams' 'Summer of '69' was one of my favorite songs. And my roommate and I used to listen to Born in the USA every day; I loved the passion that Springsteen put into his vocals, and his lyrics were deeper than a lot of the bands of that time." 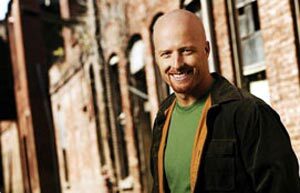 At Nashville's Belmont University, as a music industry major, Todd nurtured both his faith and his music. He joined with his sister Nicol and college friend Allan Hall to form Selah, which would, over the next few years, become a Christian music phenomenon, earning the respect of fans and critics alike. secular beginnings: the melody to 'A Mighty Fortress Is Our God' comes from an old pub tune. Those were the contemporary rock songs of their day." Over the past few years, Todd has been setting aside time to write a different kind of song- one that is closer to the dramatic gestures of rock & roll than the more mellow sounds of Selah. Musically, Alive is an aural kaleidoscope. Thanks to producers Jimmy Collins (Plumb, Matthew West) and Matt Bronleewe (Jars of Clay, Rebecca St. James), each track communicates sonically, whether via slamming rock anthems or more tender ballads, in tandem with its message. "Jimmy was influenced by a lot of the hard rock and other types of music he heard while growing up in New York," Todd says. "He has a great feel for what's current. Matt, on the other hand, has more of an alternative sense, like R.E.M. or Depeche Mode. And somehow it all fit in with what I wanted to do." After earning a second bachelor's degree at Detroit's William Tyndale Bible College several years ago, Todd's studies gave him an even stronger theological foundation on which to build the lyrical side of his solo recording. Being a husband, and now the father of twin daughters Ellie and Abby, has also reinforced and reshaped Todd's understanding of God's love for mankind- greater, as Scripture says, than even the bonds between parent and child. In addition, Todd's writing was also impacted by his study of John Eldredge's Wild at Heart, the enormously popular book that has inspired men to deliberately live out their faith. Taking the essence of Eldredge's message to heart, Todd has renewed his own resolve to live a life of introspection and honesty, without complacency. "I wrote this album primarily for guys like me, but really for everyone about what it means to lead a dangerous life," he explains. "You might have a good job and a great family, but if you're just going through the motions, you're not fully alive. I can be like that too. There was a lot of fear involved in making this album-fear of failure, so much sometimes that I almost wasn't willing to do it. But whether you're a man or a woman, a teenager or a grandparent, living safe is no way to live." Steering clear of the safety zone, Todd goes eye to eye with his own doubts, writes bluntly and poetically about his dreams and fears, and delivers these songs with a conviction that's rare in any genre. Addressing some of life's hard-hitting issues, Alive explores what it means to be a man ("Lukewarm"); how to battle the temptation to stray from the arms of God ("Run"); the pain of disappointing your spouse ("I'm In This Love For Life"); and even the anger that can linger over evils inflicted more than a century ago ("Dear Leopold"). "Many of us in the Christian community don't like to hear the truth," he admits with candor. "If you're a believer, you're going to have pain in your life-it's going to be hard. Sure, it's also going to be incredible because you know that God is with you, and we want to share that joy. But I want to also address the other side of what it means to be a Christian." "In the end, it's all about finishing the race completely-not giving up-and being obedient to His will," Todd reflects. "I think that comes through when you live a life with passion. Choosing to do things that make you feel like you're alive- that's what God really wants for us. And that's huge."